This lacy circle vest is easy to make and works up quickly! 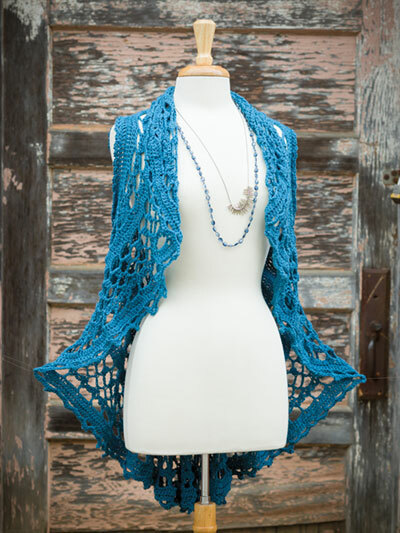 Design is made using a DK-weight yarn. Special stitches include a cluster and picot. Size: 40" in diameter.